In a funny way the two Johns - John Peel and John Lydon - were responsible for Killing Joke bursting onto the world stage in such a short period of time. John Lydon, we got a tape to him, he was friends with Youth and he became so passionate about Killing Joke and talked about it in the press a lot. We kind of got friends to stand in front of the BBC and push the first EP into Peel’s hand as he walked in, and Peel thought it was a set up or joke, a famous band masquerading under a different name, which is why he dropped by the first Peel session to see who we were. So between these two, it was only ten weeks from us getting together to the first gig selling out, it happened really fast. 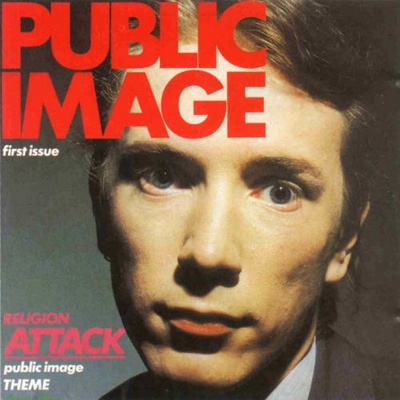 Of course, a lot of music we listen to in Killing Joke is disco, death disco, and the original line-up of Public Image with Jah Wobble, they were already on a similar track to Killing Joke, rhythmically, with what they were listening to. It’s such an important album, well the first two are, but we’ll say the first one for convenience. Frankly, I was a lot more comfortable with PiL than the Pistols. The whole first wave of punk, it was a bit like a boy band, it was a set up by McLaren, but then after the masquerade there was something real and tangible that was left and came through from that. So the second wave of punk was everything really. Of course, by the time we were really kicking into our career punk was gone completely and we were the only voice really for rebellion.